Legal Help,When You Need It. The New York State Bar Association Lawyer Referral and Information Service is here to connect you with our trusted, vetted panel of attorneys. Attorneys participating on our panels charge $35 or less for the first 30 minutes of consultation. Click here if you are in need of free or low income assistance. Counties served by other programs: Albany, Bronx, Brooklyn, Broome, Dutchess, Erie, Monroe, Nassau, New York, Oneida, Onondaga, Orange, Putnam, Queens, Richmond, Rockland, Suffolk, and Westchester. 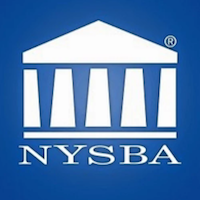 Why use the New York State Bar Association Lawyer Referral and Information Service? Every attorney vetted by our program. $35 or less for a 30 minute initial consultation. Top level support from our LRIS team. LRIS member lawyers make themselves available for a one-time meeting at a reduced rate, charging a fee of no more than $35 for an initial 30-minute consultation. Fees for consultations longer than 30 minutes and fees for ongoing representation are set by each lawyer. If it’s a good fit, you can engage the attorney for legal services. This guide details your rights and responsibilities as a client seeking an attorney via the NYSBA LRIS program. This guide contains a list of the other lawyer referral and information service programs in New York State. If you cannot afford an attorney, the resources in this guide may be able to assist you.